We continue with the sixth installment of the World's Coolest Dude 1911-2011 list, which covers the years 1961-1970. Welcome back from the holiday weekend, my Puddlers—I hope most of you have the day off today. We'll continue listing the World's Coolest Dudes up through Friday when, in anticipation of the year ending on Saturday, we will unveil the World's Coolest Dude 2011. I will give you a tiny spoiler: the winner is NOT from Skidmore College. When Barack Obama won the Presidential Election in 2008, the phrase that most political pundits used to describe Obama’s win besides “historical” was “akin to JFK’s election, artists and intellectuals will now flood to Washington D.C.” We are obviously privy to historical distance and perspective on John F. Kennedy’s election as U.S. President so it is hard to imagine how ground breaking it was at the time. America had just finished a decade under Eisenhower (the oldest U.S. President at the time) that had made a point of maintaining the status quo. By the start of the 1960’s, the world was changing from the way it had been known in the first half of the 20th century and America was bracing for that change. The Cold War was well into its second “official” decade of existence, the 1960 Presidential Election proved that television was becoming the most powerful communication medium, and space travel was becoming an American (and Soviet) obsession. Kennedy had embraced television during the 1960 election, which led to his winning the presidency. He advocated for theimportance of space travel and for opposing “tyranny, poverty and war itself,” basically coded language for what the Soviet Union represented to the “western” or “capitalist” world. Kennedy, along with Jackie, made Washington D.C. “cool.” They emphasized the arts and a lot of young thinkers and artists did actually come to Washington D.C. to be a part of the Kennedy aura. JFK was well spoken, handsome (though time as proven he wasn’t that handsome) and most of all young. He brought the United States presidency as close to a cultural or pop phenomenon as it had ever been. The entire United States was swept up in the Kennedy presidency and he became a worldwide curiosity as well as an object of scorn or jealousy. When all of those things collide, when you are perhaps the most inevitable figure existing in a given year, you are the World’s Coolest Dude. The year 1962 might seem like a strange year to select Paul Newman as the World’s Coolest Dude, but there is always a reason to the Committee’s madness. 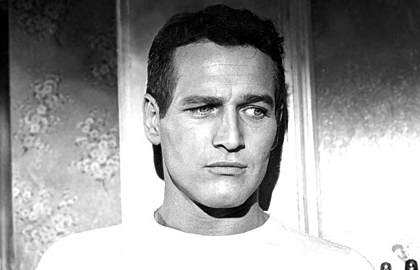 First, Newman had already been well established as a top Hollywood actor based on his performances in Somebody Up There Likes Me (1956), The Long, Hot Summer (1958), Cat on a Hot Tin Roof (1958), and Exodus (1960). 1962 saw Newman sandwiched between two of his master performances; first as “Fast” Eddie Felson in 1961’s The Hustler, and then as Hud Bannon in 1963’s Hud. Based on those two performances you knew that he was entering a peak as an actor. Also, at the time he was arguably the most handsome, coolest looking human man on the entire Planet Earth. Add in that he was married to another well established actress in Joanne Woodward and they seemed to act like a normal, married couple and that Newman was notoriously known as a good, “guy’s guy,” and that he ordered a “bottle of beer” in The Hustler and was given the most perfect looking bottle of beer and the Committee really couldn’t ignore Newman’s overall influence in 1962. In summation, in 1962 Newman had the girl, seemed like your best friend, was impossibly good looking and poised and was making art at a terribly high level. What does that sound like to you? 1963 saw one of the tightest if not the tightest World’s Coolest Dude in history. In the end, it came down to Bob Dylan and the Beatles. At the time, the Beatles were so very much seen as a group, as the “four-headed monster” that it was very hard to single out any individual to award the World’s Coolest Dude to. Beatlemania was influential worldwide, but there was a novel element to their status as pop phenomena. On the other hand, you had Bob Dylan. Dylan had already been a dark horse World’s Coolest Dude candidate in 1961 and 1962 for his growing influence on the folk scene and also in New York’s burgeoning art scene. However, in 1963, with The Freewheelin’ Bob Dylan there was no way to ignore Dylan’s emergence as an important cultural figure. Songs like “Blowin’ in the Wind” and “A Hard Rain’s a-Gonna Fall” became rallying cries for the new Generation of young Americans growing up under the Kennedy administration (these young Americans were also stand-ins for the young Parisians who would eventually start the 1968 riots, there was a worldwide youth culture of unrest). And then you had a song like “Don’t Think Twice, It’s All Right,” which is a timeless, confused, romantic song of youth and love. Dylan’s ability to mix these different tones as well as the timeless with the timely made him such a powerful force. The Beatles admitted to listening to the record on repeat. Also, the “early” Dylan was at his peak here. 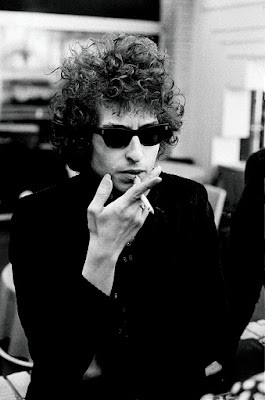 The Don’t Look Back Dylan was merely a transitional Dylan that manifested itself in the 1966 Bob Dylan that eventually burnt out. 1963, Freewheelin’ Dylan with the iconic albumcover of he and his girlfriend walking down the street in New York signaled the end of early Dylan and the beginning of the transition, just as Freewheelin’ signaled the end of the early 60’s and the transition into “the 60’s.” The optimism and creativity mixed with fear and confusion showed that Dylan already, perhaps without knowing it had his pulse on what was happening in the world, in youth culture. By the end of 1963, he was a one man phenomenon, and he was the World’s Coolest Dude. 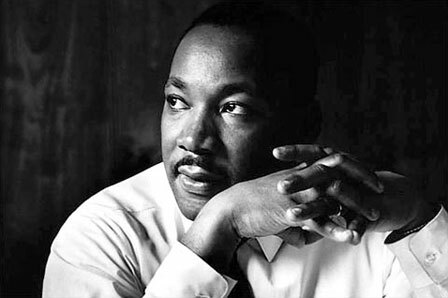 It’s hard to retread on everything that has been said about Martin Luther King Jr. and his importance in 1964. MLK means so much to so many different people, especially African Americans, that it becomes hard to write about him in general. However, for the purposes of this list, a recap of Martin Luther King’s 1964 World’s Coolest Dude Award has to be done. In 1963, during the March on Washington, Martin Luther King Jr. delivered what is perhaps one of the three best speeches in American history and at least a top twenty speech in the history of the human race when he delivered his “I Have a Dream Speech.” When you listen to a recording of the speech, it is hard not get goose bumps and it remains as vital now as when he gave it in 1963. After the “March on Washington” and the “I Have a Dream Speech,” the Civil Rights Movement became a cause that could not be ignored or pushed aside. Both events directly led tothe Civil Rights Act of 1964, which outlawed all forms of segregation in the United States. With this landmark achievement directly tied to Martin Luther King’s efforts he was obviously the World’s Coolest Dude in 1964. In 1965, The New Yorker published Truman Capote’s new book, In Cold Blood, in four installments. The pieces became an immediate sensation and copies of the magazine sold out all over the country, especially in Kansas where the initial murders in the book took place. The book was published in its actual “book” form by Random House in January 1966, but since it had already been published in “magazine” form in 1965, Capote fell under 1965’s jurisdiction. The fantastic sales of the book only helped to cement the accuracy of the WCD Committee’s decision. Capote became a literary celebrity due to the success of the book even though he had already been well-known due to his earlier work such as Breakfast at Tiffany’s and its subsequent movie version. In Cold Blood further proved Capote’s status as a leading world writer, but it also brought the idea of “New Journalism” to the general population, as Capote’s techniques presented a “literary” approach to a non-fiction topic. Some people even went so far as to say that Capote fictionalized scenes in the book. Regardless as to whether or not those accusations were true, Capote captured the world’s attention in 1965 with In Cold Blood. At the 1965 Newport Folk Festival, Bob Dylan famously “plugged in” and effectively went on one of the most epic and whirlwind displays of disregard for public opinion, his own personal myth as well as his own physical health. Later that summer, Dylan released Highway 61 Revisited effectively signaling his total break from “folk music,” which set the stage for his 1966 World Tour, which began in February of 1966. Armed with songs from Highway 61 Revisited and the not yet released Blonde on Blonde, as well as members of The Band as his backing band, Dylan tore through antagonistic audiences in the United States, Canada, Australia, the United Kingdom and Europe. Dylan split his set list up into an “acoustic” set and an “electric” set, so the majority of the boos usually occurred during the second set. The tour was grueling as Dylan often played 6 or 7 concerts in 10 day spans and normally to crowds that were looking to crucify him for turning his back on the folk community. Dylan’s manager, Albert Grossman, notoriously over-booked Dylan in order to try and squeeze the maximum amount of profit from the tour. Dylan was known to be taking a lot of amphetamines in order to maintain his pace and the frenetic stage presence that echoed the music he was making on record. The 1966 version of Bob Dylan was also a symbol for where the 1960’s were heading. With his dark sunglasses and “hip” clothing, Dylan had all the answers for the establishment. In interviews he countered their questions with questions of his own, making the whole idea of the press or “pop star interview” seem ridiculous. He famously took pictures of members of the press who were taking pictures of him when he arrived at an airport on the tour. The 1966 Dylan represented the latter half of the 60’s and was the first popular image that could be associated with the “counter-culture.” The “early” Dylan was technically a “counter-cultural” figure, but he was so tied to the folk music scene that he became lost, or rather, mixed up in the ideas of that movement, which is what essential made Dylan decide to move away from that movement and towards what eventually manifested itself as 1966 Dylan, the cynical rock star who is a step ahead of everyone until he eventually has to collapse. Dylan welcomed the antagonism of the world and of his art, but it eventually became too much: the shows, the amphetamines, the pace of being that on guard, that on point every day. In July of 1966, he crashed his motorcycle in upstate New York and had to cancel the rest of the shows that had been booked for that year. It was almost as if the motorcycle crash had to occur in order for the 1966 Dylan to end. Dylan retreated and then returned as the late-60’s-1970 Dylan or the “country” Dylan. The 1966 Bob Dylan couldn’t last forever, he was a mercurial figure that had a set life. When your music and your public persona make this kind of analysis of your life in a single year possible, you know you are the World’s Coolest Dude. The Beatles stopped touring in 1966 after their nasty incident in the Philippines and when they started receiving death threats before live concerts. When they reconvened to record music after a few months’ hiatus, Paul McCartney suggest the concept of “Sgt. 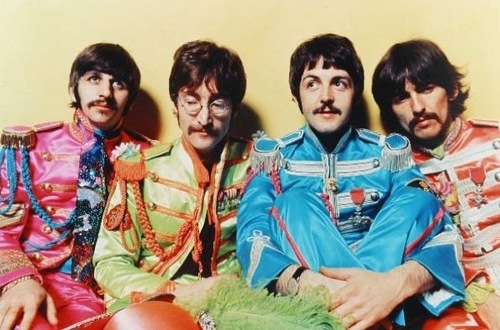 Pepper’s Lonely Hearts Club Band” where, in order to escape the crippling identity of the Beatles, the band could take on the persona of another group and do things “the Beatles” normally wouldn’t do. This sort of projection or disassociation is done all the time by artists. So, the Beatles first recorded the “Strawberry Fields Forever”/ “Penny Lane” single in late 1966 as well as embarking on the recording for the Sgt. Pepper’s Lonely Hearts Club Band album. We all know the stories of the Beatles using psychedelic drugs and expanding on their sound, but that had already been occurring as early as Rubber Soul when John andGeorge had taken acid at their dentist’s house. However, Sgt. Pepper, even if it wasn’t a true concept album or even the most psychedelic album of all time, signified a full-scale cultural shift into the “Summer of Love.” The movement had already been happening in San Francisco and Los Angeles and in London and even in a darker extent in New York City, but a band like the Beatles, releasing a technicolor album cover, with “technicolor” songs meant that it was acceptable for the culture at large to fully embrace this kind of psychedelic lifestyle. People call Sgt. Pepper’s Lonely Hearts Club Band the first instance of pop-music as art, but that had most likely occurred the year before with Pet Sounds and even Revolver could have been classified as “art” as well as Blonde on Blonde. What it really was the zeitgeist encapsulated in one object, or perhaps one object allowing the zeitgeist to feel comfortable in the general culture. The Beatles were the most beloved and unifying symbol in the world and their involvement in the “counter-culture” and in the psychedelic movement meant in a strange way that it was OK for everyone to be involved in it. It also has some fantastic songs and moments, including "A Day in the Life," which, along with “Surf’s Up” by the Beach Boys, might be the highest achievement in true pop music history. The release of Sgt. Pepper also signaled the end of the Beatles as a true unit as the working conditions of the album began to fracture the band. But, in 1967, you could not find one person who was more influential, more important or cooler than the Beatles each were. They were not the “four headed monster” but they could not be touched in many ways. There was no one else on the planet Earth like the Beatles in 1967. Jimi Hendrix’s arrival in London in 1966 is seen as one of the great musical watershed moments of the 1960’s, where the unknown force of nature from America met the established pop/rock royalty of England and helped push its creative boundaries in the latter part of the 1960’s. In any case, in 1967, Jimi Hendrix released both Are You Experienced and then Axis: Bold as Love. A rundown of a few of the hits on those albums: “Are You Experienced,” “Purple Haze,” “Fire,” “Foxy Lady,” “Manic Depression,” “3rd Stone From the Sun,” “If 6 Was 9” “Little Wing,” “Spanish Castle Magic,” and “Bold as Love.” Hendrix rode the momentum and widespread popularity of those two albums and all those songs into 1968, when he released Electric Ladyland and made the wah-wah pedal his true weapon of choice when he unleashed tracks like “Voodoo Chile,” “All Along the Watchtower,” “Crosstown Traffic,” and of course “Voodoo Child (Slight Return).” Hendrix was the best guitar player in the world in 1968 and everyone knew it. He had established his talent and overall ability in 1967, but by 1968 it was overwhelming. No one sang or played like him and he seemed to be on another plane altogether in the way he spoke and carried himself. He was a fashion symbol and perhaps most epitomized the “late-60’s” look, with all of his scarves and velvet suits and pants. While Dylan went recluse and back to his roots in 1968, while the Stones remembered how to rock, while the Beatles were breaking up but still making unapproachably perfect-in-its-imperfections music on The White Album, Hendrix was playing rock-music with vibrant colors, distorted sound and strangely fragile and beautiful vocals. He was a force of nature and was 1968’s World’s Coolest Dude. The “Space Race” between the Soviet Union and the United States was one of the most prominent storylines of the entire 1960’s. Each country wanted to prove its technological superiority as a nation, thus proving its overall supremacy in terms of world politics and power. The “Space Race” reached its technical conclusion in 1969, when Neil Armstrong, Edwin “Buzz” Aldrin and Michael Collins piloted the spaceship Apollo 11 to land on the moon. The achievement brought John F. Kennedy’s goal of “putting a man on the moon” to its realization and for the time being the United States pulled ahead of the Soviet Union in space technology and thus in the Cold War overall. 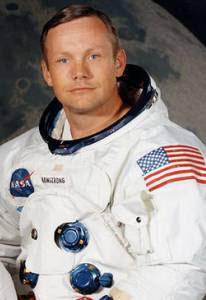 Upon being the first man to step on the moon, Armstrong’s quote of “that’s one small step for man, one giant leap for mankind,” is one of the most enduring quotes in human history and really an astonishing example of presence of mind in an historical situation (though it must be pointed out that Buzz Aldrin’s quote of, “Beautiful. Beautiful. Magnificent desolation,” always rang true with the World’s Coolest Dude Committee.). Neil Armstrong was the first man to walk on the moon; he was the World’s Coolest Dude in 1969. The Beatles technically broke up in 1970 when Paul McCartney released his solo album McCartney with a press release announcing that the band had broken up. However, they had technically broken up after they finished the sessions for Abbey Road in August 1969 and then later in September of that same year when Lennon said to the other four that he was officially leaving the band to play with the Plastic Ono Band (Lennon, Eric Clapton, Klaus Voormann, and Ringo), but that he would withhold a public statement. In any case, by 1970 the Beatles were each on their own and Lennon was truly able to own the role of leader that he had given up in the Beatles around 1965. In late 1969, he released the “Give Peace a Chance” and “Cold Turkey” singles under the Plastic Ono Band moniker which made him the first Beatle to truly establish his post-Beatle identity. Lennon went even further in 1970, making the single “Instant Karma!” in one day, because he wanted to start making songs that were “like newspapers.” “Instant Karma!” features one of the best and most infectious choruses of all-time and showed that Lennon could truly do it on his own in one way or another. John followed that up with the Plastic Ono Band, which was startling upon its release due to its simplicity as well as its brutally honest and emotionally revealing lyrics. John channeled all of his childhood and professional trauma into sparse three minute pop songs and screamed and sang over Ringo’s simple but hooky drum beats and Klaus’ Voormann’s subtle bass. Songs such as “Mother,” “Well, Well, Well,” “I Found Out,” and “Remember,” may seem tame now, but at the time no one was prepared for that kind of production or straightforward emotion, even if they were couched in John’s innate ability to write pop music and his once-in-a-lifetime ability to use his voice as an emotive and melodic instrument (just think of John singing “yea-hah-yeah”). However, Lennon’s greatest achievement on the record was the song “God,” wherehe denounced every cultural and societal figure that had been a part of his life up until that time. The list includes magic, I Ching, Bible, tarot, Hitler, Jesus, Kennedys, Buddha, mantra, Gita, yoga, kings and culminated in the chilling run through, “I don’t believe in Elvis, I don’t believe in Zimmerman, I don’t believe in Beatles!” Lennon follows that emphatic exclamation with the quieter “I just believe in me, Yoko and me,” before going on to declare that “the dream” or the 1960’s is over. This cathartic song in many ways was the ushering in of the 1970’s “me decade” ethos where singer-songwriters ran supreme for the most part. That trend may have already been in progress, but it was on this album that Lennon seemed to make it manifest, or rather make the prophecy. The album came on the heels of George’s All Things Must Pass, so it wasn’t the first true post-Beatles artistic statement from any of the members, but it seemed to carry a different weight than George’s spiritual record. It carried something angrier, complex and more human. When you add that catharsis to John’s very public image and his success with the “Instant Karma!” single, you get the World’s Coolest Dude of 1970, somebody who signaled the beginning of a decade that he himself would get lost in. ** Double asterisk indicates a year the award was given to a group rather than an individual.